Luxury developer Bruce Makowsky's $250 million Bel Air mansion built on spec is the most expensive home on the U.S. real estate market. The most expensive home to hit the U.S. real estate market is right here in California, displaying its over-the-top extravagance in the tony SoCal community of Bel Air. The mega-mansion is listed for a stratospheric $250 million and its vast 38,000-square-feet include 12 bedrooms, 21 bathrooms, three kitchens, five bars, a spa with a massage room, a four-lane bowling alley and a swimming pool with a swim-up bar and pop-up television screen. The views from the various decks span from the Pacific Ocean to the Los Angeles skyline to the San Gabriel Mountains. 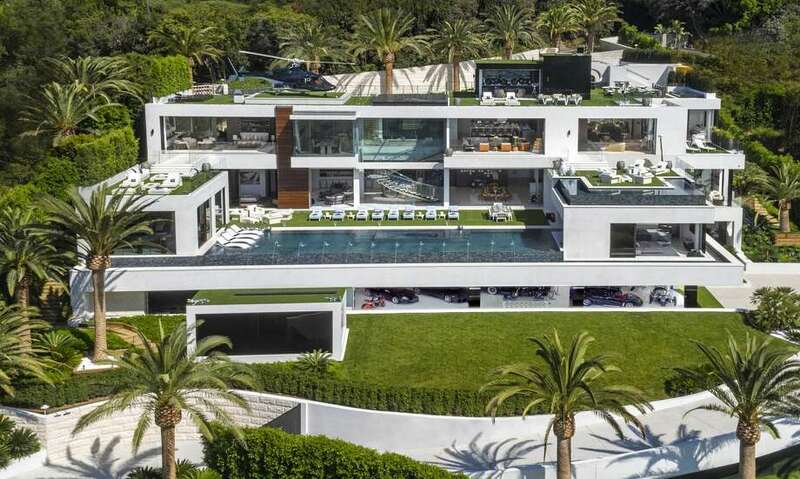 The home at 924 Bel Air Road is the masterpiece of luxury builder Bruce Makowsky, who became known as the Spec King after selling a $70 million spec home in Beverly Hills to Minecraft founder Markus Persson in 2015. While Bel Air is known for hyper-luxury real estate, this property brings the market to a new extreme and offers a lifestyle in addition to a place to call home. The wine cellars are fully stocked with a collection of vintages hand-picked by Makowsky, and a $30-million fleet of exotic cars parked in the auto gallery will be included in the sale. The home even comes with its own seven-person staff, whose salaries are fully covered for two years. Only a billionaire could likely afford all of this opulence and according to Forbe's 2016 list of world's richest people, 540 of them exist in the United States. Who will it be? The most expensive home for sale in the United States just hit the market for $250 million. At 38,000 square feet, the Bel Air mansion includes 12 bedrooms, 21 baths, a $200,000 built-in candy wall, $30 million in cars and the helicopter from '80s TV show 'Airwolf.' “It’s the best of the best,” says Bruce Makowsky, the hotshot developer who constructed the palatial pad. From the decks and garden, take in unobstructed views that span from the snow covered mountains all the way to the Pacific Ocean and the incredible Los Angeles skyline in-between. 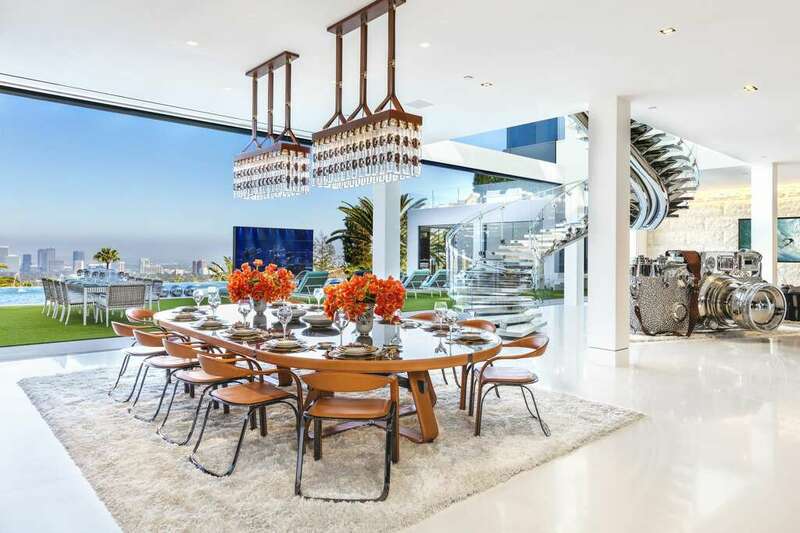 The dining room inside luxury developer Bruce Makowsky's $250 million Bel Air spec house. This article was originally written by Amy Graff and appeared here.